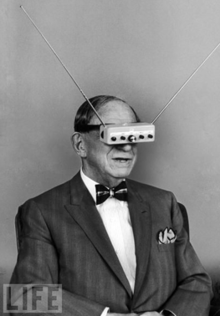 Hugo Gernsback (k/; born Hugo Gernsbacher, August 16, 1884 – August 19, 1967) was a Luxembourgish-American inventor, writer, editor, and magazine publisher, best known for publications including the first science fiction magazine. 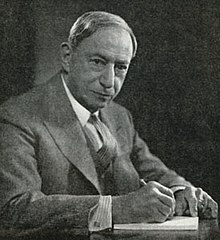 His contributions to the genre as publisher–although not as a writer–were so significant that, along with the novelists H. G. Wells and Jules Verne, he is sometimes called "The Father of Science Fiction". In his honour, annual awards presented at the World Science Fiction Convention are named the "Hugos".